If an event does not sell out in advance, tickets will be available for a higher price at the door. In the true spirit of music discovery, Sasha Marie builds soundscapes to introduce moods and curate feelings. With a thoughtful and delicate approach, this kind and genuine soul serves as a central point for bringing community together through scores. Sasha Marie's poignant mixes have appeared on BBC 1xtra, The FADER and Hypebeast. 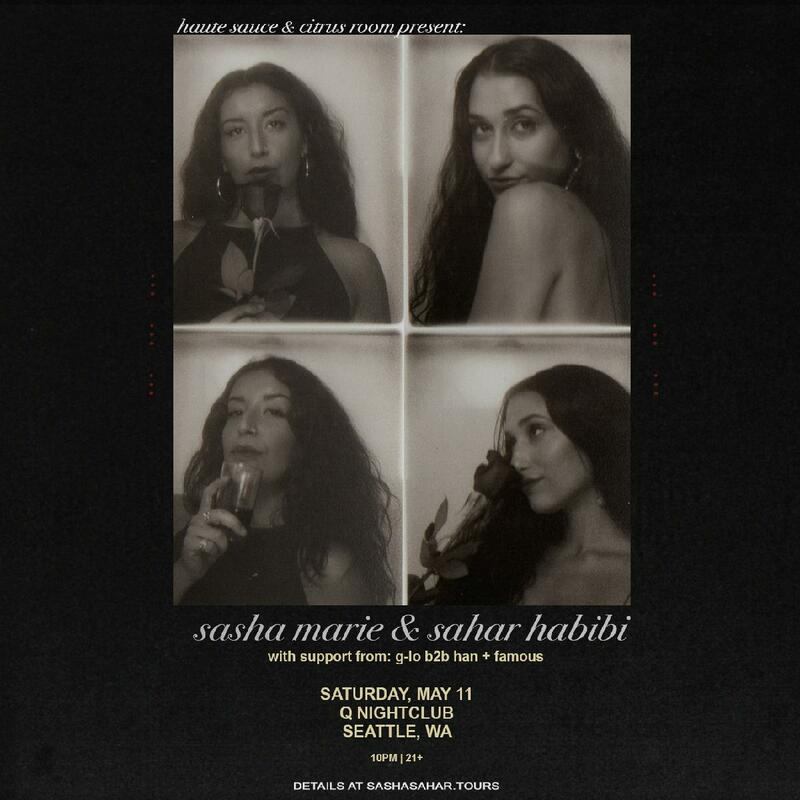 With a deep rooted love of music instilled from an early age by her father, Sasha Marie draws on influences from every side of the musical ecosystem – Amy Winehouse to Flying Lotus, M.I.A. to Billie Holiday and back to MF Doom. Sahar Habibi, representing the worldwide music collective, Soulection, has cemented herself as one of the most prominent up & coming DJs in the Chicago music scene and beyond, at merely 25 years old. With a passion directed at an assortment of genres, Habibi treats her listeners to an eclectic library of classical r&b/soul, future beats, modern-day hip-hop, and a deep discovery of edits. Habibi is recognized for the various selections of music she brings out to her shows coupled with her smooth blends and uptempo energy. In 2018, Habibi was selected as one of two dedicated DJs to spin at Kanye West’s “Wyoming in Chicago” pop up.